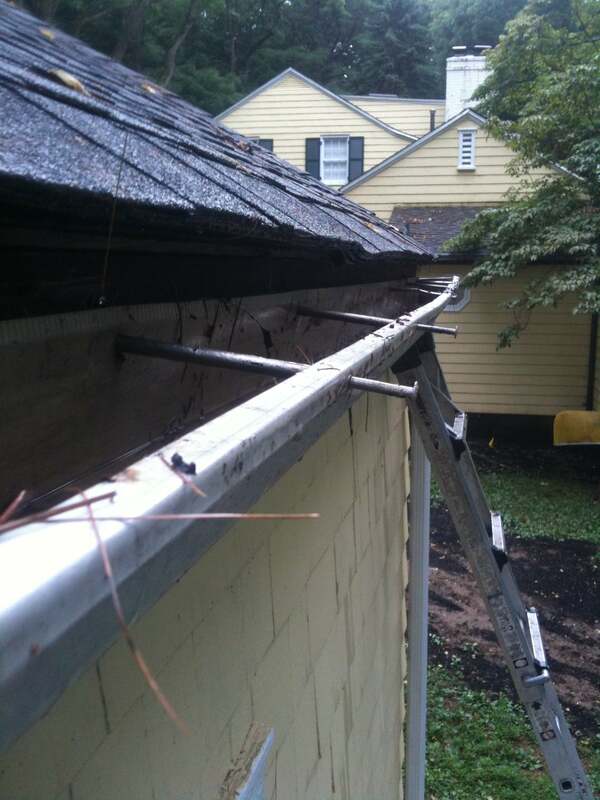 Typically gutters over 20 years old were installed with spike and ferrules, which secure the gutter to the home. These gutters are often a lighter weight/ gauge .027 gutter, which easily dents or dips with the weight of a ladder or debris in the gutter. After 10 years or more, these spikes work loose from the weather and temperatures causing expanding and contracting in the materials. When a gutter is weighted down with leaves, snow, and water, the spikes begin working their way out of the wooden fascia. When standing beneath the gutters and looking up, are the spikes sticking out, or is there light between the gutter and fascia? These are good indications your system is running out of time. Aluminum gutter spikes loose their grip the further the gutter pulls away from the fascia. This weakens the gutter system. Once there is a compromise in the strength of the gutter, the gutter will sag, which is why light can be seen behind the gutter. This compromises the pitch of the gutter and often leads to the gutter no longer working properly. Rain water can overflow in front or behind the gutter as a result of loosened spikes. 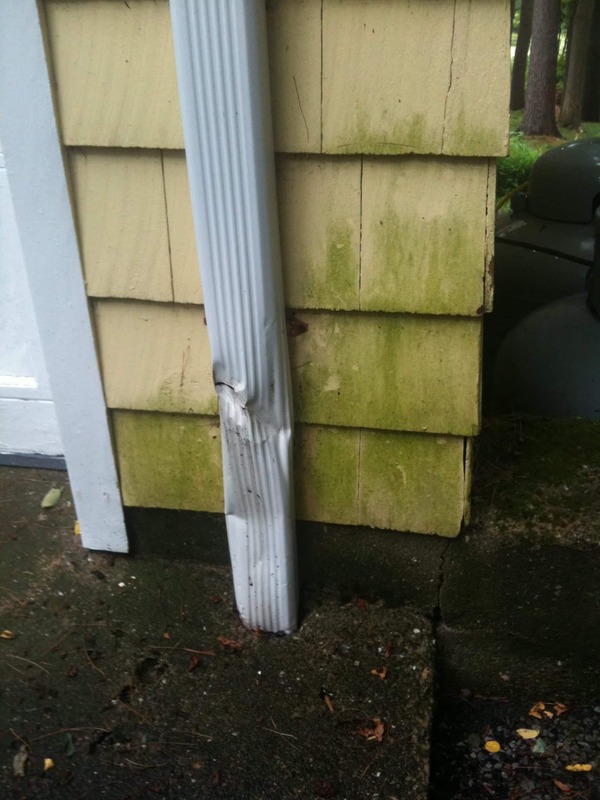 Because wooden fascia rots in as little as 6 months of water flow, correcting loosened spikes is a recommended fix. We used to suggest re-securing the gutter with hidden hangers, but this doesn’t work as well as hoped. The holes left behind from the nails being moved or removed allowed the fascia, rafter tails, and soffit area to be compromised. The result was more damage beyond the gutter. The best and most professional repair to an old gutter system with spikes is to remove the gutter, wrap the fascia, and install a hidden-hanger system. 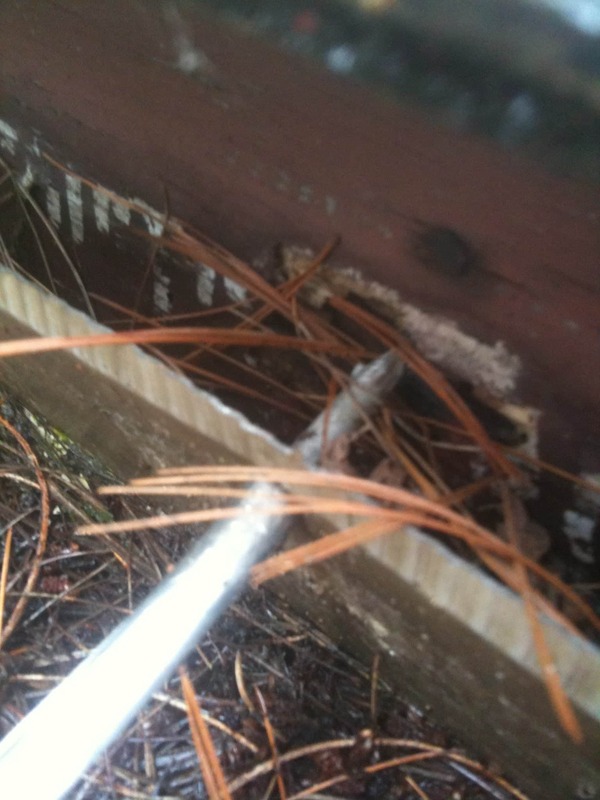 Professional gutter companies should only use hidden hangers fastened with screws, as pictured here. The advantage is the threaded screws make a tighter bond with the fascia the gutter is attached to, that will not come loose with the expansion and contraction of the gutters over time. The hangers are also engineered to hold up to 200lbs per hanger. 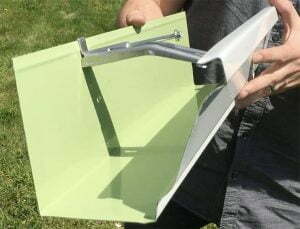 A seamless heavy gauge .032 gutter fastened with hidden hangers will last over 30 years! There are many warning signs that indicate the need for gutters or the replacement of your existing system. In some instances gutters can be repaired or re-secured, although the recommendation is to change the gutter system with an updated hidden hanger. A Gutter System that is properly installed and maintained by regular Gutter Cleanings or Maintenance or protected with a leaf guard should last up to 30 years. 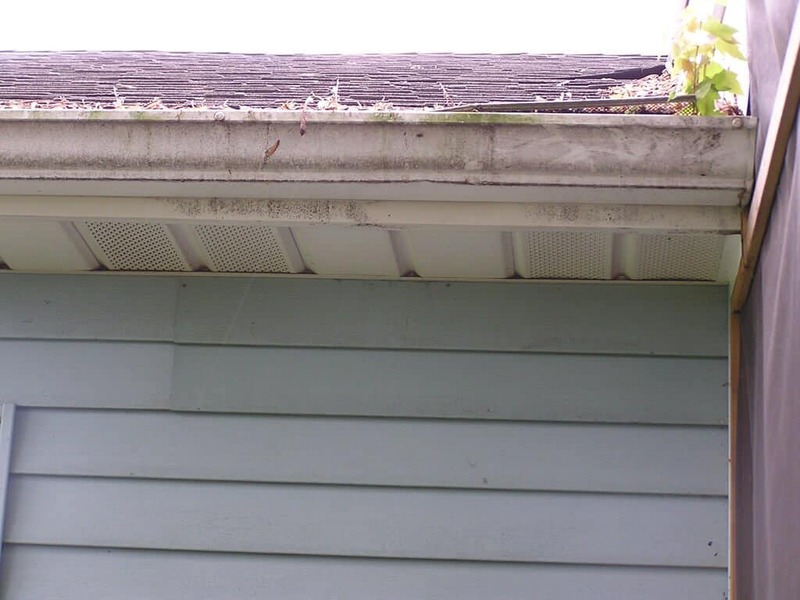 Gutters that have not been properly maintained usually fail between 10 and 15 years. Below are the warning signs associated with gutters failing. If you are experiencing any of the following warning signs, please call us at 866-550-3569 or Request a Quote Online. Spike & ferrules pulling away from the gutter where you can see the nail head popping out. Lines in your landscape below the gutter. Rotting deck boards, windowsills, garage doors, and regular doors below where gutters are, or should be. Erosion in landscape or mulch beds. Cracking or upheaval of sidewalks, patios, driveways and stairs. Paint flaking or peeling prematurely in areas near the base of the home. Dips or back pitch in gutters. View our gutter photo gallery.